Today is the judgment day! The day begin with briefing for the student about the competition that will be running today and activity that we are going to have in the next few days at New York City. We have Lisa Harper (Imagine Cup Worldwide Competition Manager), Suzi LeVine (PR), Chris Yates (Security) and Walid (the big boss) on the stage to brief all the competitors. 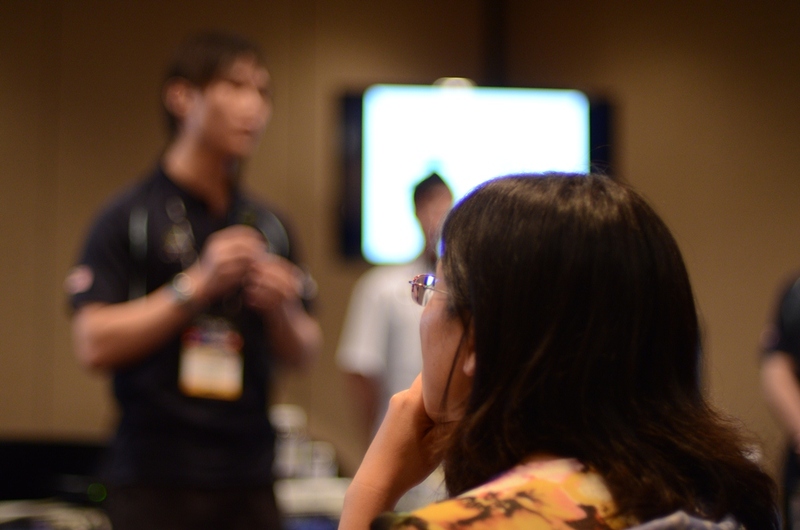 We had judges around the world to sit in and watch the great solution bring by students in Software Design, Embedded Development and Game Design. IT Challenge and Digital Media will be running all day long, student need to compete with others and the time to make sure they complete their task in the given time. Competition for Windows Phone 7 and Interoperability Challenge will be kick start tomorrow instead. This is going to be a busy and exciting day for everyone. Although I know lot of competitors stay up late last night for today presentation preparation, but all of them are excited and ready to give all judges a big bang of what they have. Being part of the Microsoft Student Partner (MSP) Social Media Team give the chances to watch all those great and amazing solution developed by the students first hand. The judges were impressed about the student creativity and so am I. They are just so great! Well, after all their are the best in their country that why they represent their country to the worldwide final. Check out Team MACARA, Team Gototkaca, Team Cyber Knightz and Team NewKrean action on their presentation from the photo. They are doing a very great job and judge are impressed with their project. I’m not going to tell you what great project the student made here, but you can check out their projects at People’s Choice Award and make sure you vote for them if you like their project. Just 2 more days left, better be hungry if you want to support them. 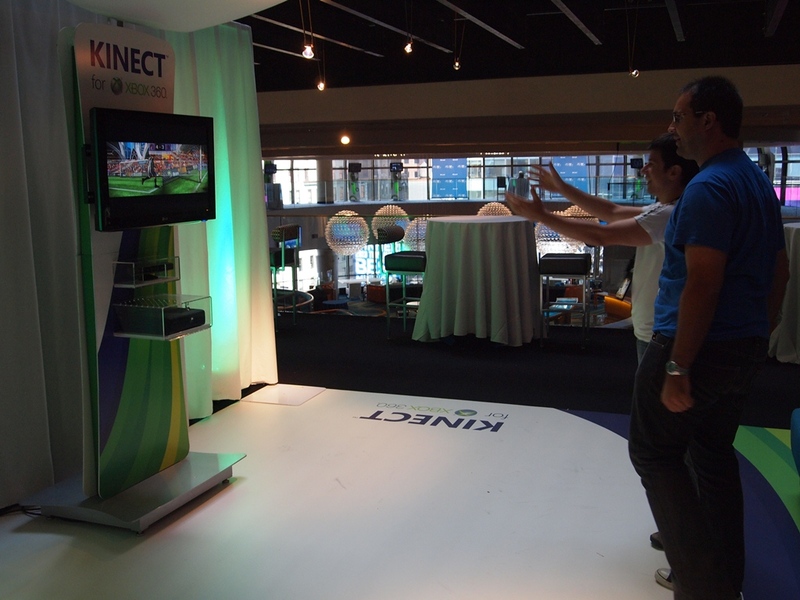 Imagine Cup is not only about competition, we also have fun time like Xbox 360 and XBox Kinect ready for students to play. After all the tough competition, the result of the teams that advanced to second round of Software Design and Embedded Development will be announce at night. While waiting for the judges to sort out the result, the competitors are so excited. They bring their own flag, sing their country’s song, shouting their country name, hooping around and many more! 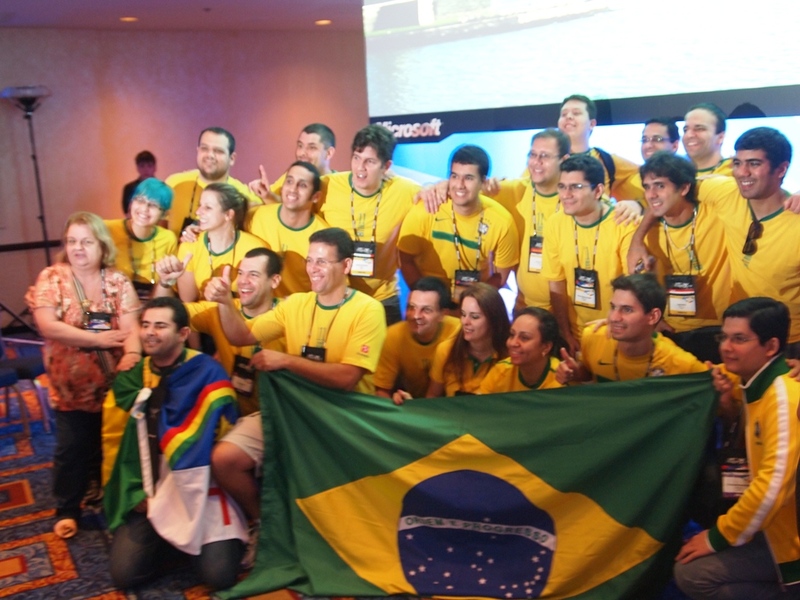 That is the Imagine Cup spirit! For even better, Lisa announced that Microsoft is giving out XBox 360 as the lucky draw on the section of Kinect App-a-Thon that will be happen tomorrow. More good stuff for the student ya. How I wish I’m a competitor this year! I’m so envy them! For those teams won’t can made into the second round, don’t give up now as you all have came so far and you represent the best of your own country. All finalist are the winner of this competition. this should be the beginning of the journey to create a better tomorrow and not the end of the journey. Competition for Windows Phone 7 and Interoperability Challenge will be kick start tomorrow, as well as second round of Software Design presentation and Embedded Development presentation. IT Challenge and Digital Media are still going on now. We also got a lot of learning sessions including Kinect App-a-Thon that are going to happen tomorrow. 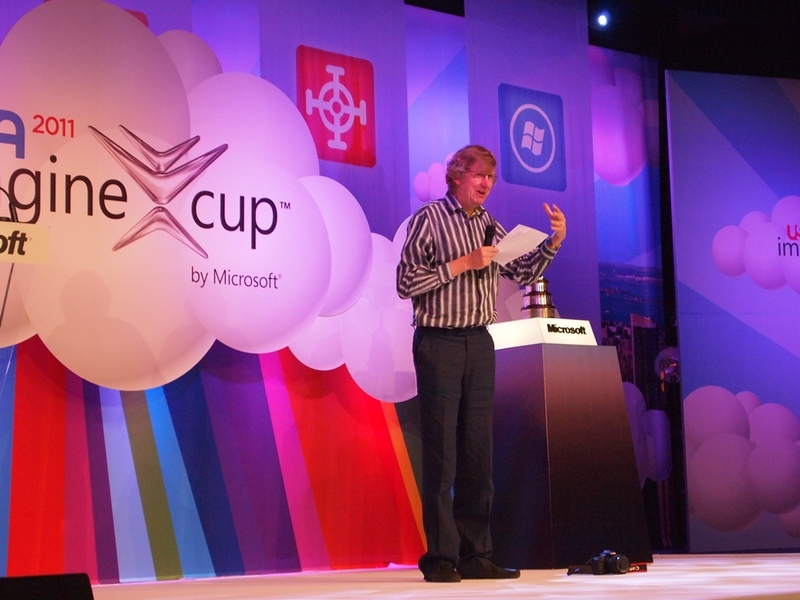 So stay tune on my Blog or Twitter, or check out the official Imagine Cup’s Twitter for the most latest update.